Holes are drilled in the side of the case and female BNC connectors installed. 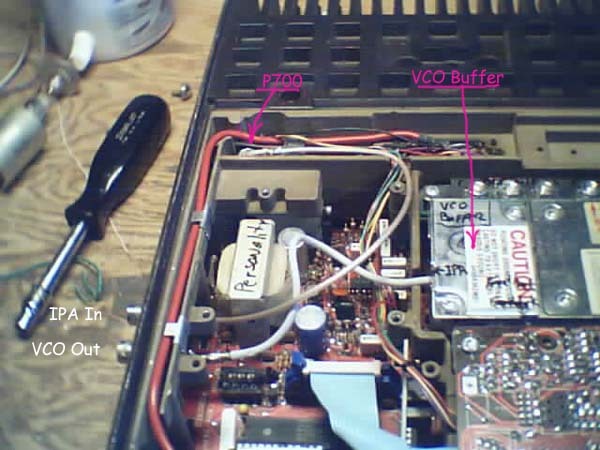 The coax from the VCO buffer is disconnected from P700 and reconnected to the VCO Out jack. A mini-coax jumper is added from the IPA In jack to P700. The coax shielding is grounded a both ends.